Aside from supporting local businesses, there are many benefits to purchasing and burning your firewood in New Hampshire. If you’re planning a campfire this summer, consider the effects of burning wood that’s not local. Firewood brought in from other areas – typically a radius of 50 miles – can carry unwanted passengers. Invasive species of insects and diseases can hide in untreated firewood, and infect living trees. New Hampshire regulation actually prevents bringing out of state firewood across state lines. This includes all kind of firewood – hardwood, softwood, seasoned, and green. 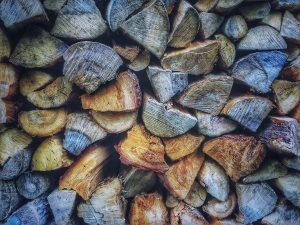 Seasoned firewood is wood that has been left to “season” and dry for over a year, removing all moisture and allowing it to produce the most effective and most robust heat. Green wood, also known as unseasoned , has a moisture content of over 50%. These woods are best to buy if you want to split and season it yourself. Hardwoods are dense and good for burning, while softwoods burn more quickly. A combination of hardwood and softwood will make the most successful fire. New Hampshire locals started a campaign regarding the spread of firewood in New Hampshire. Called the “Buy It Where You Burn It” campaign, its purpose was to spread awareness about the dangers of burning out of state firewood. New Hampshire is primarily concerned with the spread of the emerald ash borer, which is a beetle from Asia that is highly destructive. If you are in an area where there is an infestation, use only wood from that area, or purchase it very local to the area. Only buy what you need and be sure to burn it completely. 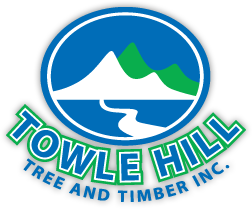 At Towle Hill Tree and Timber, we recommend sourcing all your New Hampshire firewood locally. When traveling, purchase wood from a local vendor, and, again, only buy what you need. Don’t take the leftover with you, and remember to get a receipt! In order to protect and enjoy the environment, it’s important to take the necessary precautions surrounding firewood. We are a premier wholesale firewood provider for both southern New Hampshire and Massachusetts, and strive to provide a quality product that our customers can be sure is safe. Call us at (603) 944-1879 for all your firewood, tree service, and logging needs!